RSS leader Indresh Kumar on Sunday attacked Bihar Chief Minister Nitish Kumar and RJD chief Lalu Prasad, saying both leaders have been doing vote-bank politics by supporting triple talaq and opposing a uniform civil code. “Nitish Kumar, who is also the JD-U President, and Lalu have been playing politics to break the country for the sake of vote,” Indresh, known for his vocal defence of Hinduvta politics, said. "There is an urgent need for one law in the country. There cannot be a separate law for any one," the RSS leader added. Indresh also had a personal poser for Nitish and Lalu, "Will they allow their sons to give talaq to their wives?" Indresh said that those, who are against one nation-one law theory, are free to leave the country for any other place. A debate has emerged over the government's stand to oppose the practice of triple talaq in Islam with some leaders including Lalu and Nitish accusing the ruling dispensation of making unnecessary noise over the issue. 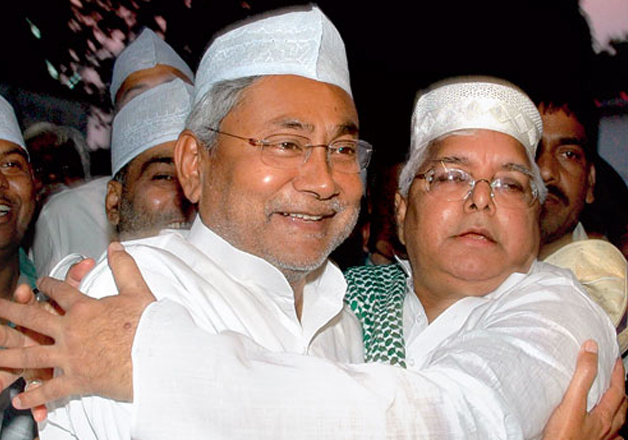 Nitish and Lalu have also spoken against the introduction of Uniform Civil Code (UCC) -- a proposal that seeks to replace the personal laws based on the scriptures and customs of each community with a common set governing every citizen.